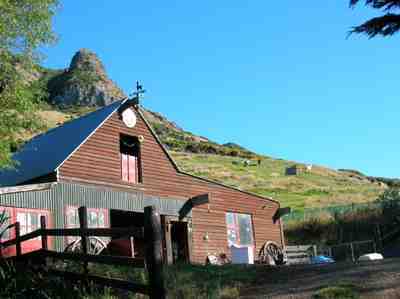 We drove down to the South Island and visited Robyn Robinson at Llama Lookout in Governors Bay, just north of Christchurch . 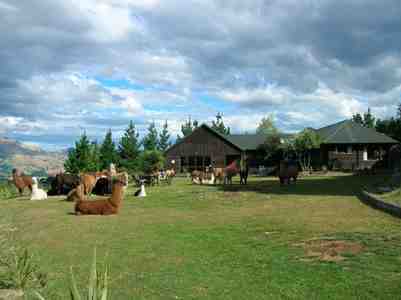 . .
Robyn’s llamas come right down the hill to graze on the lawn beside the house. Their pastures go right up the hill above the barn. 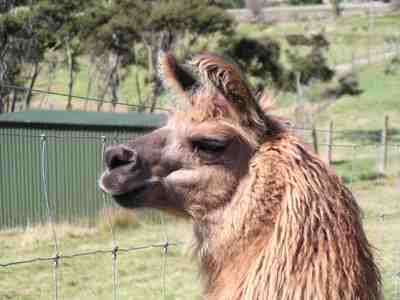 One of Robyn’s llamas . . . 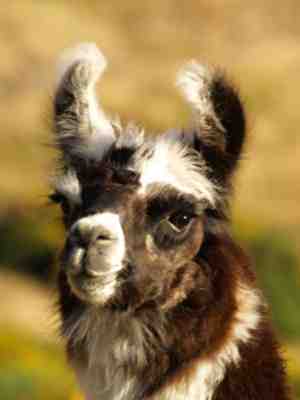 This cute guy is one of Robyn’s young llamas. 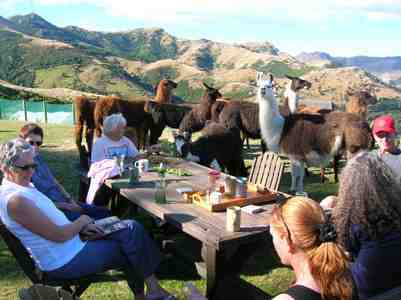 We had a pot-luck dinner at the Llama Lookout, even the llamas came by. Keith and Lynn Payne of Penscoft from Ashburton came up for the dinner and invited us to visit them. 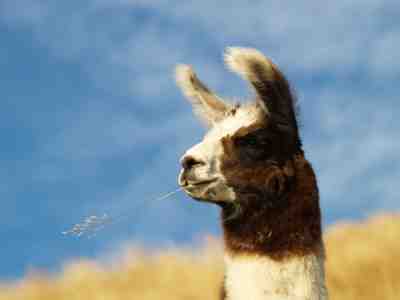 Fred and Emma Schwithal of Palmdale Llamas in Oxford also invited us for a visit. This is one of Fred and Emma’s studs. 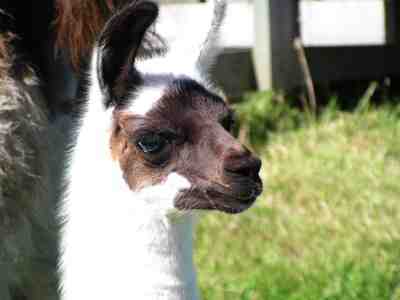 This cria at Palmdale Llamas was only a couple of days old. 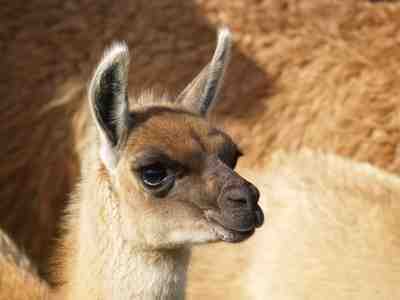 There was another cria in the field who looked identical, you would have thought that they were twins. 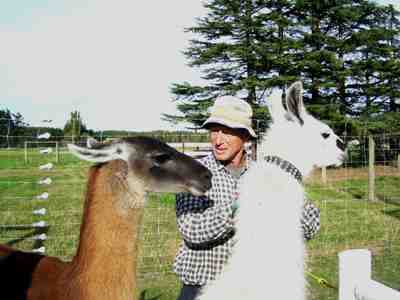 Keith Payne with a couple of his pack llamas. 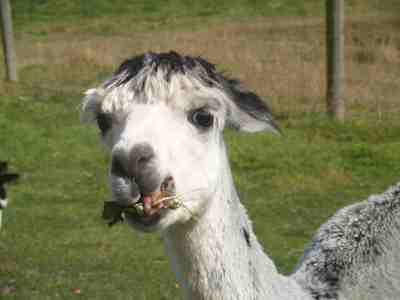 We interrupted one of Keith and Lynn’s alpacas while he was having a snack. 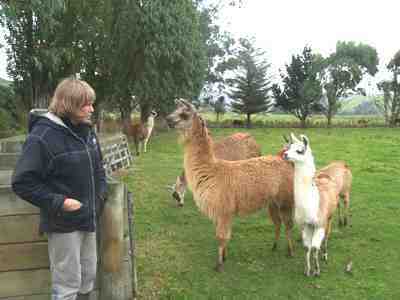 We drove down to Tokanui in the Southland to visit Janette Buckingham at Thickthorne Llamas and Janette took us out immediately to visit some of her llamas. 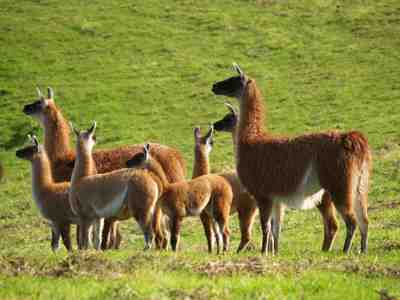 Janette has a herd of guancos and she and her husband, George, drove us out to see them. A couple of the guanco females with a number of the young. The youngsters are called chulengos. The chulengos are really cute. 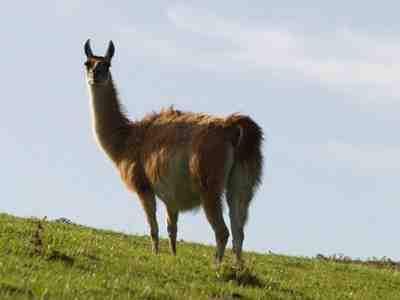 They all look identical, there are no variations in colour as there are in llamas.